Please note: we have limited seating, in our main dining room, for parties of 5 or more. Please call 904.432.920 if anyone in your party has a challenge with climbing stairs. We're located on the North end of Palmetto Walk, past Harris Teeter and the closest on the left! Every once in a while you meet a group of people that you want to spend a little more time with. Welcome to Cucina South! Years of experience culminated with a passion for food and a love for people. Excellent good, wine list very limited but acceptable, portions contained too much pasta. 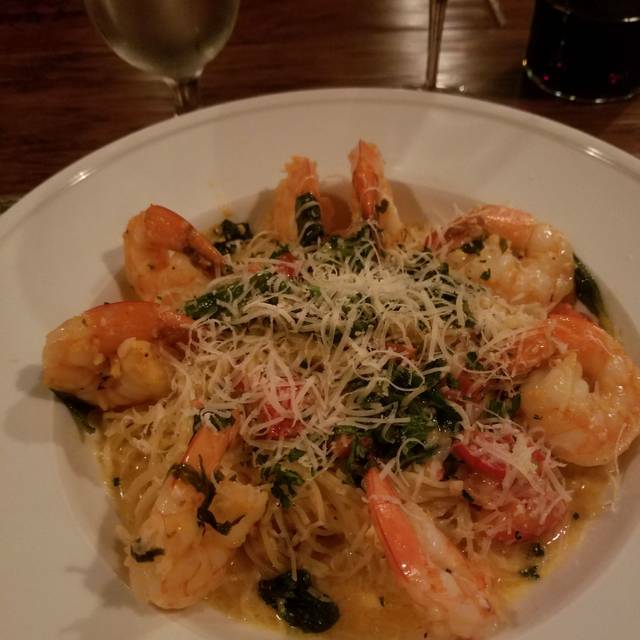 We’ve gone to Cucina South many times but the last few times have been exceptionally good experiences. The staff seems more upbeat, the food is amazing and the energy is fun. We were visiting Amelia Island on vacation this April. My kids were craving Italian food so we found this restaurant on Google. It was the best meal we had by far on the island. I would definitely recommend this and if we return to Amelia Island we’ll definitely be back! Generally very good experience. Kitchen was rather slow. Staff was very attentive. Only real negative was lack of bread/rolls to nibble on while waiting for entree. Nice setting and good service but the pizza we got Walt half baked and doughy. Another dish with the fish was dry but the deserts were very good. 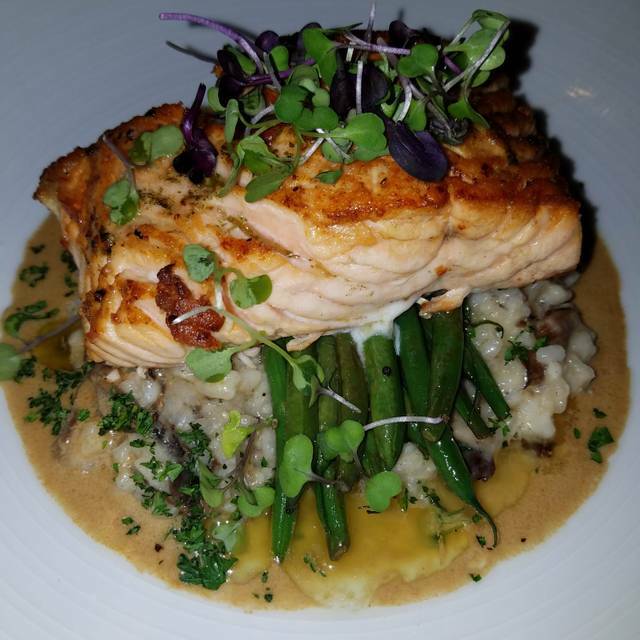 We have eaten several times at Cucina South and have always had a great experience. Food, service and ambiance are wonderful. It continues to be the best restaurant we eat at when we visit the Island. The redfish special was amazing and the apple crumb cake dessert was one of the few desserts worth the calories!! An amazing meal, incredible server and delightful atmosphere. The food was delicious and the youngest in the group felt so special, thanks to a caring waitress. Make sure you save room for some mousse and an espresso. Our only disappointment-it was our last evening on Amelia Island and we’ll have to wait a year to return. Thank you for such a wonderful memory. A wonderful evening at one of our favorite restaurants on Amelia Island. Always a great meal, quality and quantity. Service was excellent as Jackie continues to do a very good job taking care of all of our needs and answers the questions about the meal perfectly. Tanner, the manager, always greets you and checks on your meals and wants and needs, and makes you feel as if you're their best and only customer. A real fine tuned machine! Can’t wait to go back. Service was a 10. Food was a 10+. Wow!! So glad we found this place! I love this restaurant. Every time I go the food is fantastic. They offer a great menu, intriguing specials and a gluten free menu for those in need like me. The maitre’d/manager is always accommodating and gracious upon arrival. The service is always professional and prompt. Highly recommended! Charming restaurant with excellent food and very good service. Everyone in our party of four enjoyed everything we had including salads. Would definitely return on our next trip to Amelia Island and would recommend to friends. Everything from the bread to the lighting was incredible! Service was very good, food excellent! We will go back! We dine at Cucina South quite often. Food is always wonderful and staff is extremely attentive and friendly. Love eating at the bar with Allie or having Katie as our server in the dining room. I have never been to Cucina South before but I will definitely be back! Our first experience there was simply spectacular, our server Anna Michelle was friendly and very helpful, the atmosphere was great, and the food was to die for! 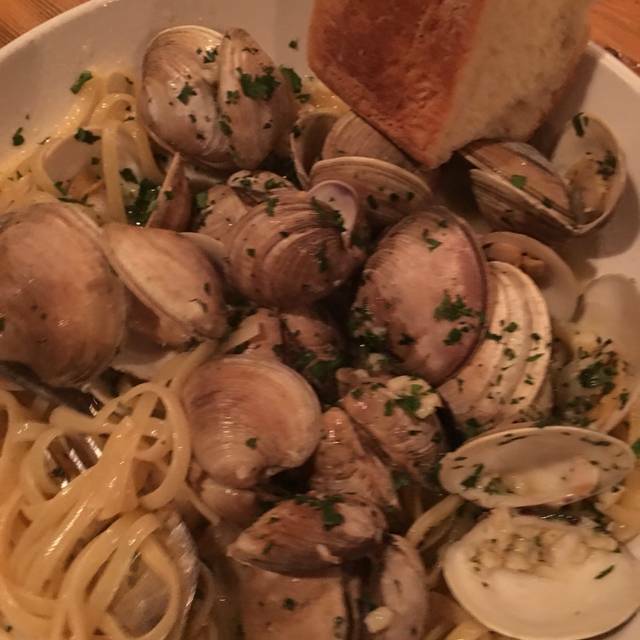 The Chicken Piccata was very tasty as well as the Linguine and Clams. I hope more people can experience the wonders of Cucina South. It is indubitably a hidden gem on the southern end of the island. 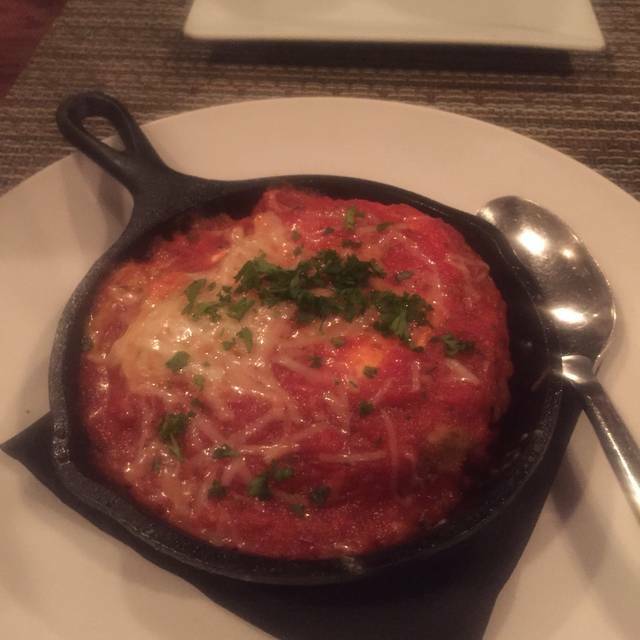 We were completely happy to try Cucina South for the first time. Our host greeted us with Prosecco, and led us to our wobbly little table. It was chilly in the restaurant, making us want to leave, but we were glad we stayed, as the food was divine. My husband had the veal chop and I had the scallops. They were excellent! We will return, perhaps to try the outdoor dining. Kind, great service, great food . Very enjoyable atmosphere! This little bistro guarantees to please. It is cute and as welcoming as the employees. The menu is extensive and varied. We chose the osso bucco because we love it and can't find it in even many italian restaurants. The veal was very, very tender on the bone with creamy polenta. We first had an olive tepenade gratis. They have a good wine selection. The waitress was the best as she was very efficient and quite friendly. 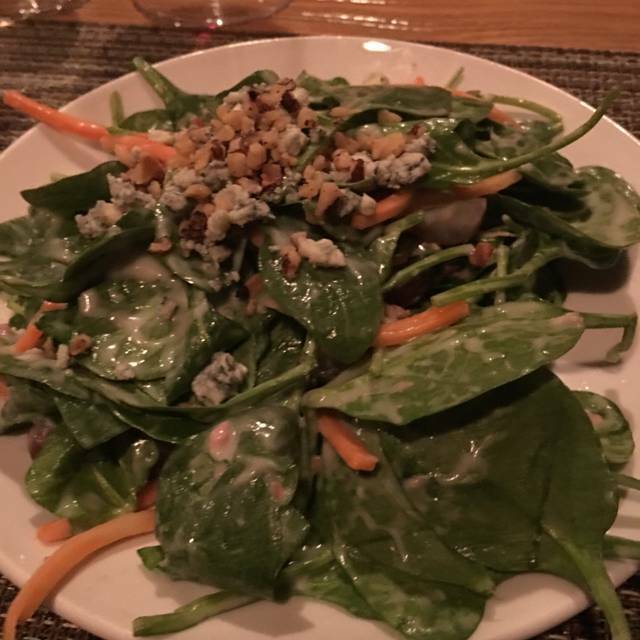 appetizer, salad and wine great. The Cobia entree was a little dry and sinewy but the accompanying vegetables and sauce helped. We had a party of four and two of us ordered the grouper special. Both of those orders were tough and raw. The staff did ask if we'd like to have it sent back but be declined. We are not comfortable asking a chief to do rework. Although it was mentioned that a credit would be given, none was. We won't be back. Amazing service and great food. My husband and I went for a spare of the moment date night and it was perfect. 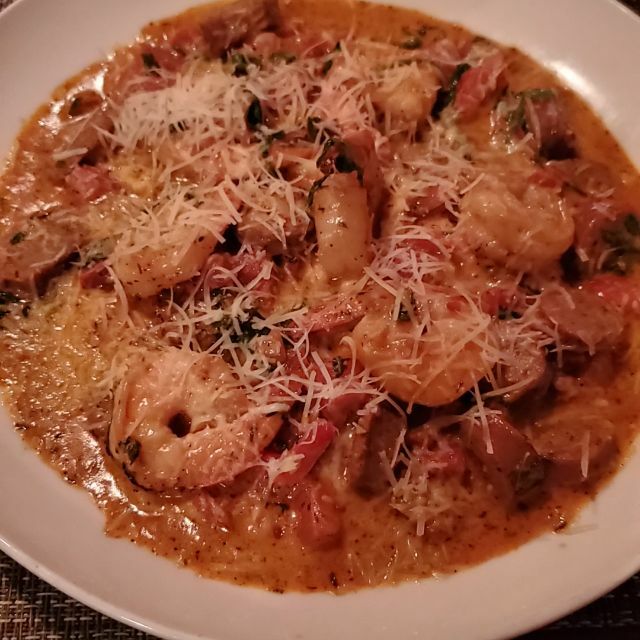 The shrimp and grits was delicious, we will go again. The staff and manager were always very friendly and welcoming. The price is reasonable for a nice restaurant. We love Cucina South! Always GREAT food, service and value! This is our favorite “go to” restaurant on the Island! Waitress may have been new. She was not attentive. Food was excellent. As always, we had a fabulous experience! Service was impeccable and food delicious! While on vacation our family took us there for dinner. 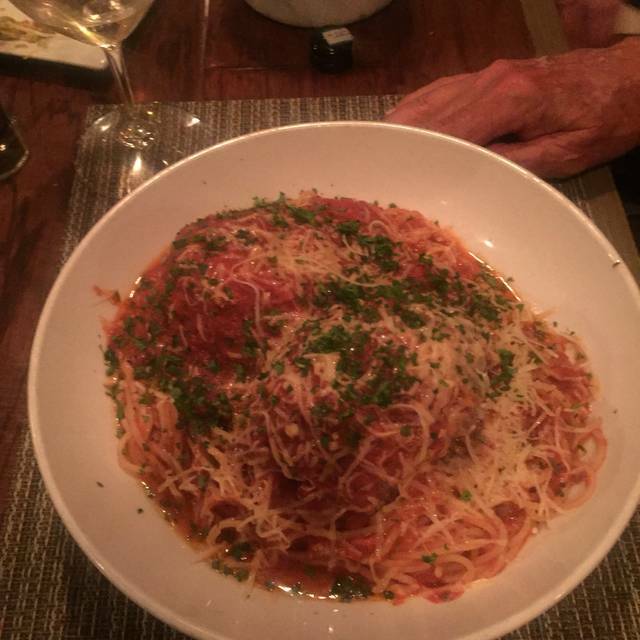 We loved it so much we went back for our 25th anniversary dinner. The food is exceptional. Thank you! Wonderful food and service. Great selection of menu option with a creative flare. Very enjoyable!! I felt a little bit rushed. Service was very good. We made a mistake and ended up in the bar. Very friendly bartender. Helped with choices of meals, including the degree of spiciness of Fra Diavolo. Maitre De knew we preferred restaurant seating but did not have any available. He comped us with dessert, a very pleasant end to our experience. 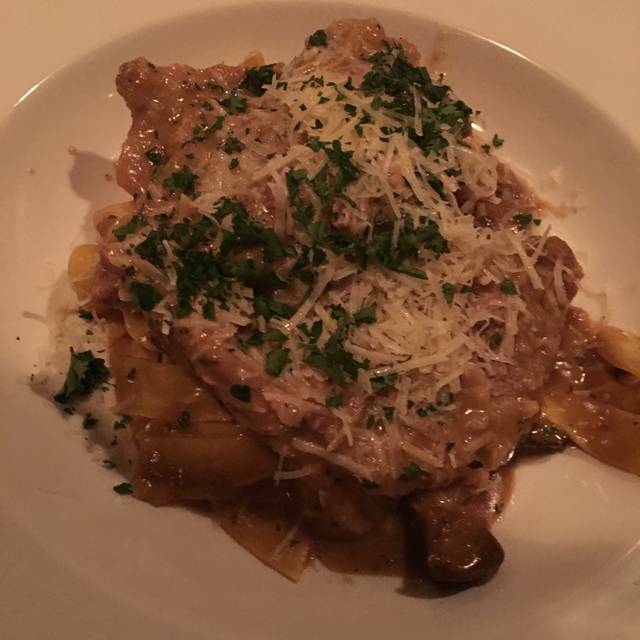 We found their Italian food to be excellent and would recommend to anyone. I will go there again when I am in the area. Has been nice for years and is better. More extensive menu. Nice service by pleasant people and delicious food. Cucina South is a delightful Italian dining experience. The atmosphere is casual with nice menu selections and moderate price. It's definitely worth returning to enjoy a pleasant evening. Amazing food with great ambiance. The staff is very friendly and the service is spot on. So good, we went two nights in a row. Didn't dissappoint!